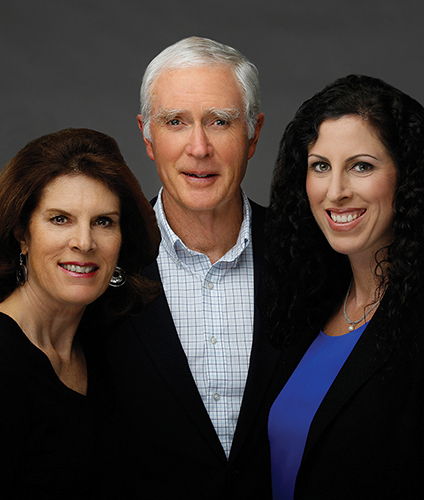 The Groark Family Real Estate Team – Jim, Deanna and Kathy – are privileged to serve their real estate clients. With 100+ years of combined experience, they are qualified to help all kinds of clients. Buyers, sellers, first-timers, investors and renters all find a trusted advocate in the Groark Family Real Estate Team. Jim, Deanna and Kathy take a hands-on approach, providing real estate insights, analyzing options, and enabling their clients to make informed decisions. Their experience is the foundation for their knowledge. They are members of the Point Loma Ocean Beach Realtors Association; listing and selling real estate throughout San Diego County. Jim, a former U.S. Marine Corps officer and Vietnam veteran, has been a licensed California Real Estate Broker since 1974. He owned Sandpiper Realty from 1977-86. Jim has been a member of the San Diego Association of Realtors since 1973 where he has served on a number of committees. Additionally, he is the Past President of the Point Loma-Ocean Beach Realty Association (1979-97). A Broker Associate with Willis Allen Real Estate since 1986, Jim is integral to the company’s success and helped open the Point Loma Office in 1987 which he managed through 1991. When he’s not helping clients you can find Jim on the water. He’s been a competitive outrigger canoe paddler and coach since 2002. Deanna is a retired Chula Vista police officer who traded her badge for a real estate license in 2005. She is a member of the San Diego Association of Realtors and was a board member of the Point Loma-Ocean Beach Realtor Association from 2016-17. A member of the U.S. Women’s National Rowing Team from 1997-99, Deanna is a former coach of the San Diego Rowing Club Juniors and currently is a coach for ZLAC Masters Women’s Rowing Team. Deanna shares her love of the sport by serving as volunteer coordinator for the San Diego Crew Classic. Kathy, a native San Diegan, has been a California Real Estate Broker since 1975. She has held membership in the San Diego Association of Realtors since 2008. Kathy works with Jim and Deanna researching and marketing properties; providing behind the scenes support. Formerly a substitute teacher for San Diego City Schools, Kathy spends her spare time volunteering for the San Diego Crew Classic.